Dental Debridement – What is It & Why Your Dentist Suggests It? 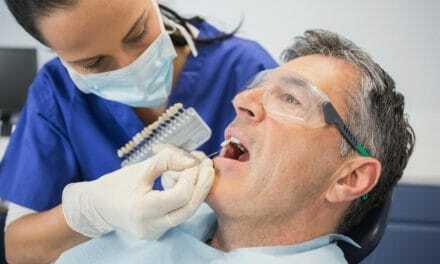 Home » Health » Oral Healthcare » Dental Debridement – What is It & Why Your Dentist Suggests It? Dental debridement is a deep cleaning procedure by which our dentist removes excessive plaque and tartar buildup from our teeth and gums. Plaque is a naturally occurring, colorless film of bacteria and saliva that covers our teeth. Plaque can be easily removed just by brushing our teeth. When plaque is left for long, it calcifies and forms tartar. Tartar is a hard shell like covering on top of our teeth and gums. It is yellow to brownish in appearance. We cannot clean it by merely brushing. Tartar and plaque can be supragingival (above the gum line) or subgingival (below the gums). Tartar can be very detrimental for our teeth. Tartar below the gums causes loss of attachment between teeth and gums. Eventually, we see a loosening of the teeth in the sockets as a result teeth fall off. 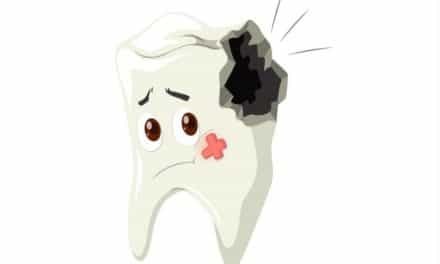 Therefore, debridement of tartar is essential to save our teeth and gums. Let’s see the details about dental debridement through this article. You will also weigh the requirement for this dental procedure and know measure your expectations. Debridement, as the word suggests, is the removal of debris. Dental debridement is a deep cleaning procedure by which our dentist removes the unwanted mineral debris from our teeth and gums. This mineral debris is known as tartar. Tartar is the byproduct of dental plaque. Dental plaque is a natural biofilm containing saliva and bacteria, which covers our teeth. But plaque needs to be removed once in twelve hours by teeth brushing. So, what happens when we don’t brush our teeth enough? Plaque mixes with calcium, magnesium, and sodium in the saliva. These minerals make the plaque hard and porous. Debridement aims at removal of tartar buildup from our gums and teeth. It is an extensive cleaning procedure, performed by the dentist or a dental hygienist. The procedure is done using an ultrasonic motor. Instruments, such as scalers and curettes, are attached to the motor. They are then used on your teeth and gums. As mentioned, dentists perform debridement for patients who haven’t been to the dentist for regular teeth cleaning. Plaque and tartar build up so much that it becomes difficult for your dentist to determine whether your bone and gum tissue is healthy or not. So, the primary reason for debridement is to analyze the gum and bone health of our mouth. Debridement helps the dentist plan a proper treatment for the damage done by tartar. Tartar buildup is harmful because it accumulates in the gum pockets between the tooth and the gums. When the tartar progresses deeper into the gums, it breaks the attachment between the tooth and gums. As a result of this, the tooth loosens in the socket. If tartar accumulates for long, gum recession starts. Tartar then eats away a part of the bone that supports teeth. Plaque is a colorless coating of bacteria and saliva on our teeth. It is always present on our teeth, and it can be difficult to identify. If you see the above symptoms, then you should visit a dentist and get dental debridement done. What to expect from a dental debridement procedure? 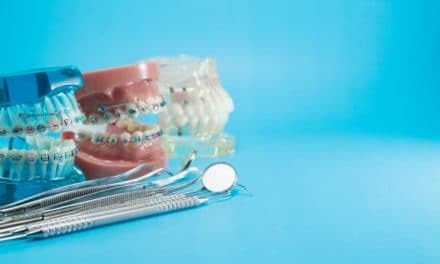 For your dentist to conduct a thorough dental exam, he or she may first need to perform a mouth debridement to scrape off the thick deposits on your teeth. It’s similar to prophylaxis, or teeth cleaning, in that your dentist or dental hygienist may use an electronic scaler. But a dental debridement is more complicated and takes longer than a regular cleaning. If periodontal disease or gingivitis is apparent, you may need to undergo periodontal treatment or a scaling and root planning treatment. If the tartar buildup is too deep inside the gum pockets, the dentist may inject a local anesthetic solution in the gums. Anesthesia reduces your discomfort during the procedure. 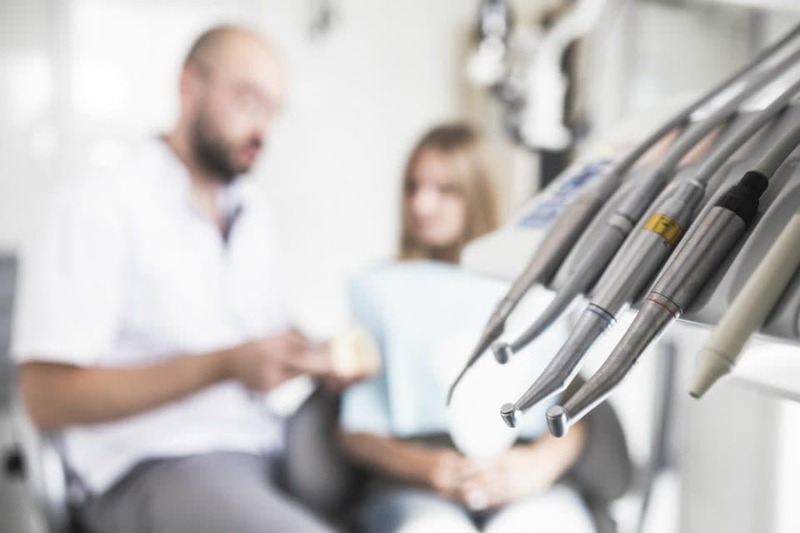 When to visit your dentist post-debridement? If your gums are swollen, they can bleed during the procedure. You may notice that your teeth have become sensitive to temperature (hot or cold) after debridement. Sensitivity occurs when there is gum recession, and the roots of the teeth are exposed after the removal of plaque and tartar. Debridement is usually the first step in comprehensive periodontal therapy. After completing the debridement, your dentist will re-evaluate your teeth to determine the appropriate course of therapy. It may involve multiple appointments for scaling and root planning procedure. Periodontal surgery may be required if there is a bone loss or gum recession. To avoid further discomfort, we should follow a good oral hygiene regimen religiously. We should brush twice daily and floss between the teeth. A good anti-microbial mouthwash like chlorhexidine is very helpful to combat future gum problems. We should also visit a dentist every three months for a thorough dental evaluation. Debridement is an extensive tooth and gum cleaning procedure. After debridement, teeth and gums become friable and more sensitive. Proper gum and teeth care are necessary to prevent further damage. You might also have teeth sensitivity after debridement. Dentists suggest debridement if you have heavy plaque and tartar build-up. The tartar accumulation on the teeth is so massive that the dentist may not be able to examine the teeth condition. Therefore, before your dentist can do a thorough dental examination, the plaque and tartar must be removed through debridement. Do You Know Dental Veneers Pros and Cons?